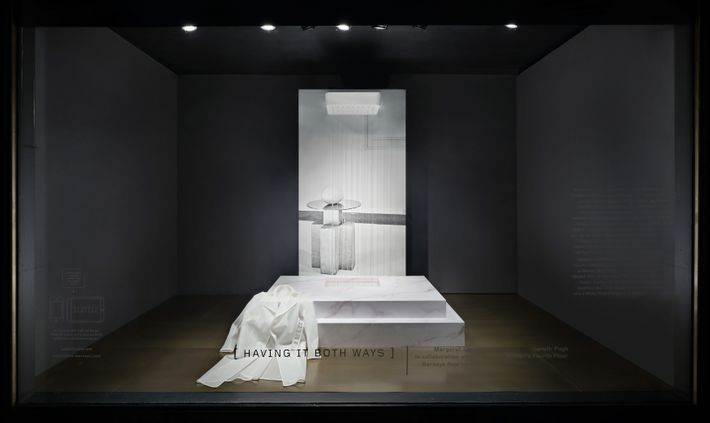 A Barneys New York store window on Madison Avenue. 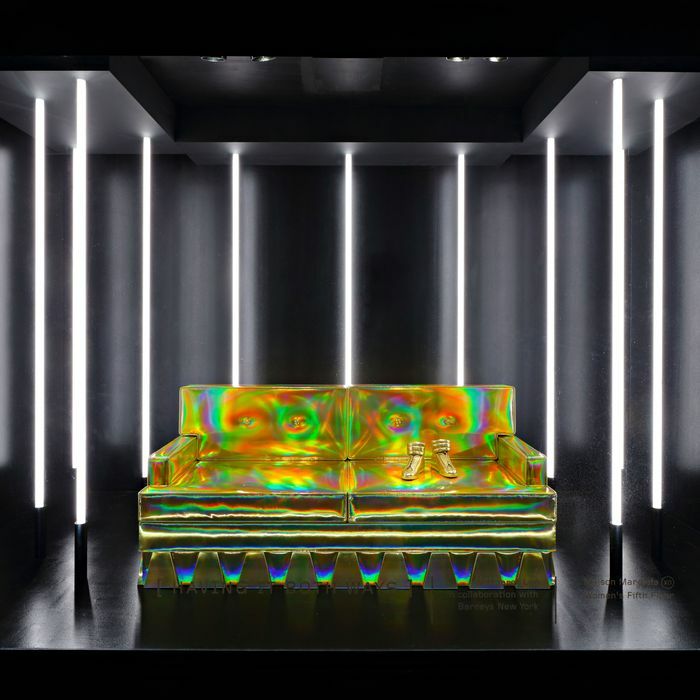 Playing on a world where everyone is Kondo-ing and arranging their belongings to be as Instagram-ready as possible, the new store windows at Barneys New York feature fashion as interior design. 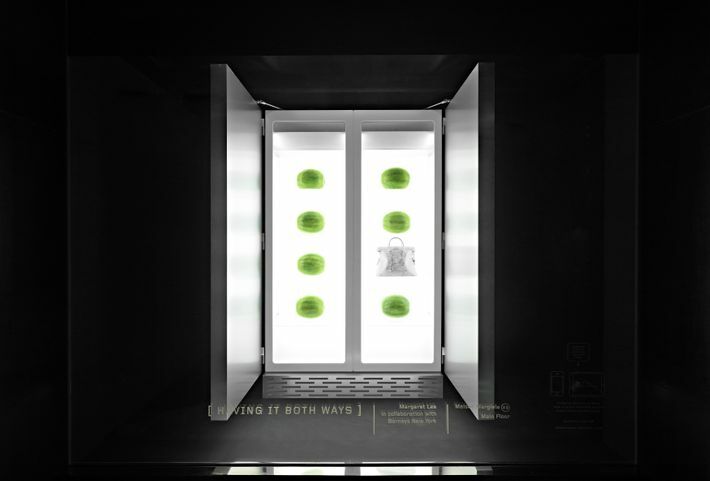 Why not pair your Dries Van Noten cheetah-print cape with a cactus, or store your Maison Martin Margiela bag in the fridge? The effect might not be warm, but it’s glamorous. 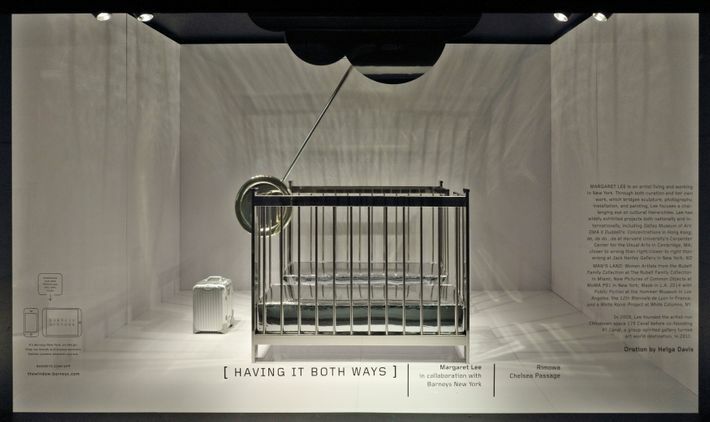 “A lot of my work, and therefore these windows, is about when the balance shifts, and no matter how hard you try to make things perfect, your humanness shines through,” artist and curator Margaret Lee said. 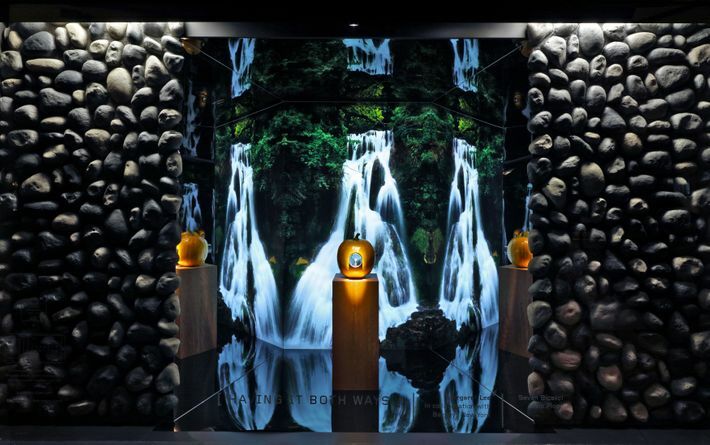 “You can’t fight your own peculiarities — like having a fridge stocked with only watermelons and a handbag, or matching your couch to your gold Margiela sneakers.” Click ahead to see marble-like bags shelved next to produce, painted artificial waterfalls, and all-white bedrooms ready for a rainy day. 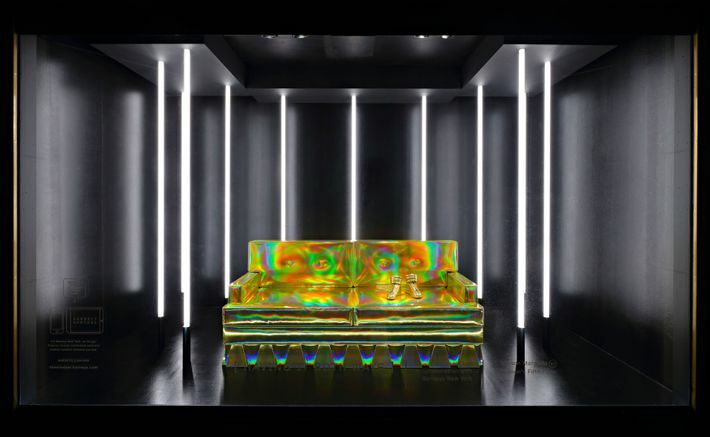 The tongue-in-cheek nod to luxury consumerism was unveiled on Monday and will remain on display through June 26 at the Barneys Madison Avenue and downtown flagship stores. 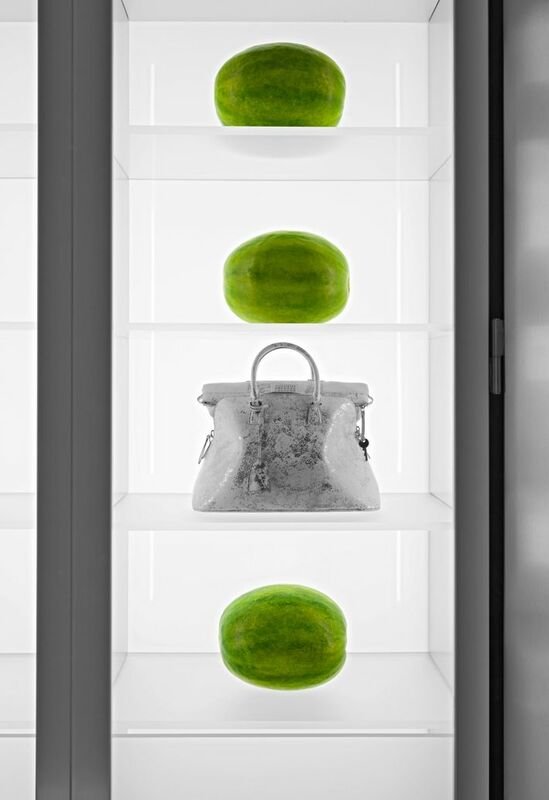 A Maison Margiela handbag and some watermelons. A Dries Van Noten cape. 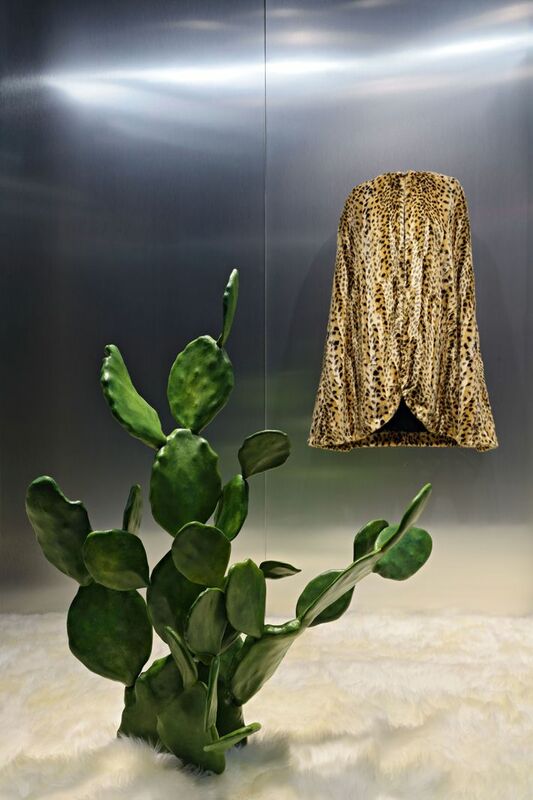 The Dries Van Noten cape with accompanying cactus.